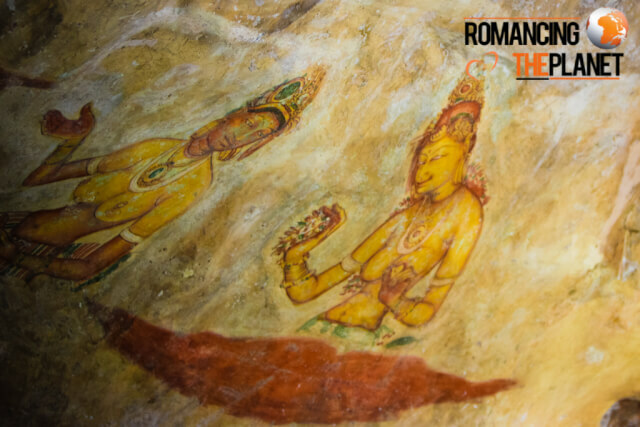 Sigiriya is one of the most breathtaking site in Sri Lanka and has been declared as a world heritage site by UNESCO in 1982. The cost of entering this site is USD 30 for foreign tourists. Prince Kashyapa moved the capital from Anuradhapura to Sigiriya which was as a more safer place, fearing attack from his father King Dathusena’s men, as he wrongfully grabbed the throne from King Dathusena and executed him. Kashyapa, now the ruling king converted Sigiriya to a civilization building palaces, huge gardens, water tanks and it flourished under his rule. Later, Moggallana defeated Kashyapa and moved the capital back to Anuradhapura, Sigiriya has been handed over to monks to be used as a monastery. 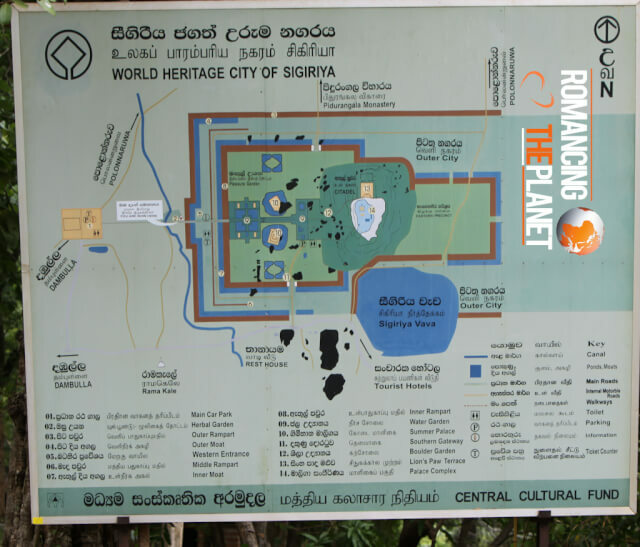 Other stories say that King Kashyapa used Sigiriya as a palace to fulfill his sexual desires. 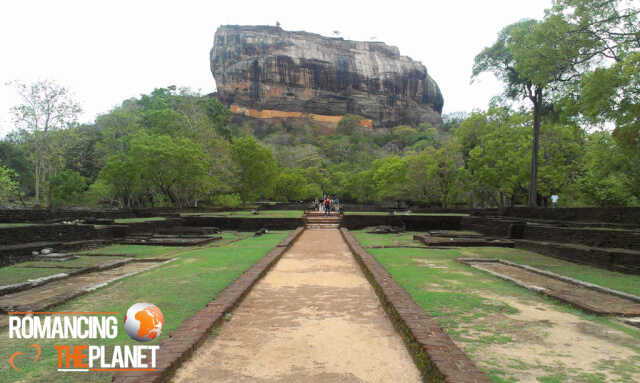 Sigiriya features mega water gardens and boulder gardens which were built to pleasure the King Kashyapa. Then as you keep moving into the gardens you will encounter the huge Sigiriya Rock standing at almost 150m over the plateau, on which the main palace was built. The summer palace has been built at the bottom of the rock near the gardens. You need to climb a series of steep steps over the rock to reach the summit of the rock. 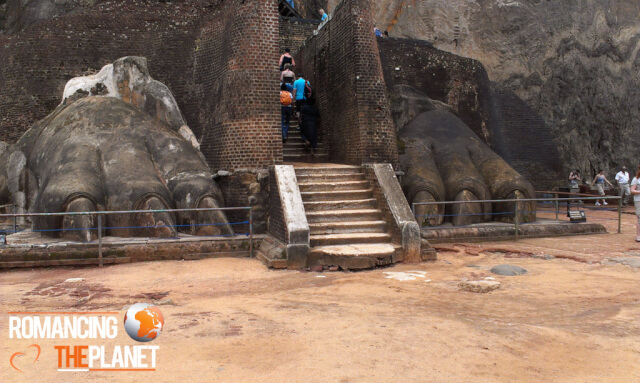 On your way you need to climb steep circular stairway to view the beautiful Sigiriya Frescoes, which depicts beautiful women and dates back to 5th century. Then you would come across the Mirror Wall, on which are written about various subjects and various people. As you climb few more steps, you will reach Lion Gate which is the final stretch to reach the summit. Near the Lion Gate are two huge Lion Paws. It is believed that the once the rock was carved into the form of a lion and only the paws remain to this date. 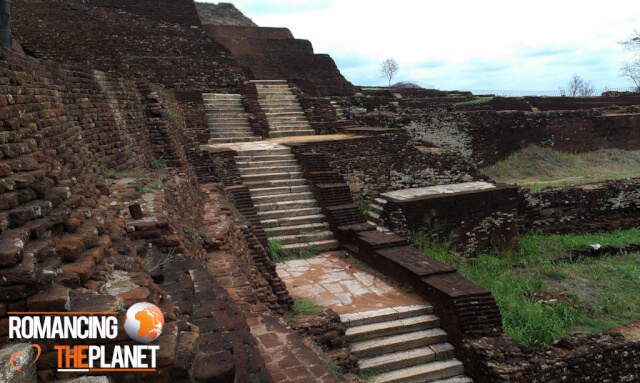 Once you reach the summit, you would not see the Palace Complex as only foundations remain today. Sigiriya has all kinds of accommodation, from luxury hotels to family guest houses. 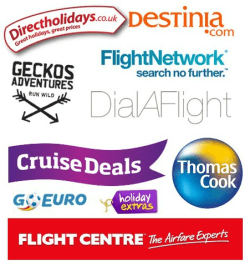 Recommended hotels in Sigiriya are Sigiriya Village Hotel and The Hotel Sigiriya.